Harvey Nichols, Knightsbridge is paying homage to movers, shakers and innovators this month with a series of in-store activities. From 6th – 28th April, a Jimmy Choo ‘Choo x You’ personalisation service featuring Swarovski crystal letters and symbols will allow you to customise your Jimmy Choo shoes and bags. Through the brand’s ‘Made to order’ service, you’ll also be able to create you dream shoes and bags – with a made-to-order menu of colours, textures and finishes. By using any of these services, you’ll also be entered into a raffle for the chance to walk away with a gift from the brand. Continuing on the personalisation trend – and celebrating its spring collection composed of ‘rebellious statement pieces for women by women’ – Scandi-American brand Anine Bing will also offer a complimentary monogramming service 11th – 15th April from 1pm – 5pm. Visit Zadig & Voltaire in-store from 6th – 21st April to claim your ‘Girls can do anything’ tattoo*. Remember to share a snap of the experience on social media by tagging @harveynichols and @ZadigetVoltaire. 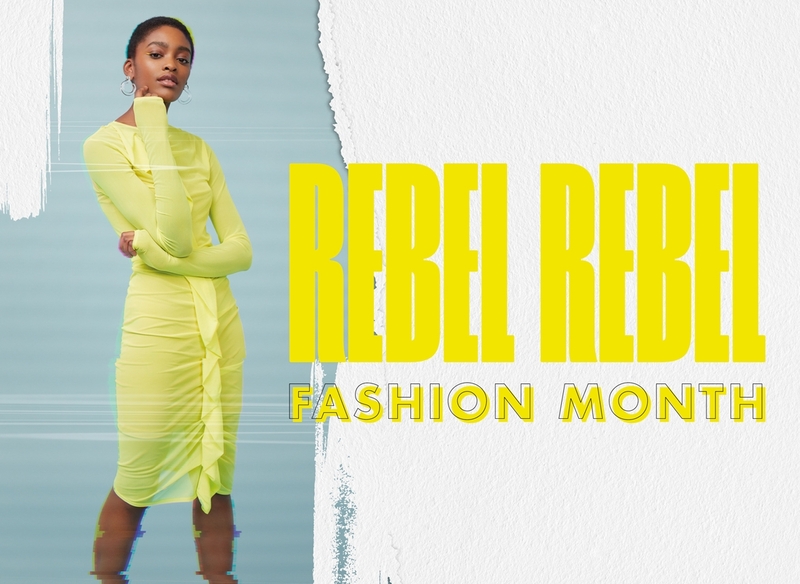 From 25th – 27th April, discover our very own Rebel Rebel photobooth, where you’ll be able to take multi-camera photos or videos. What’s more, the first 10 customers will also receive a complimentary YSL beauty makeover. Fancy a drink? Rebel Rabbet – a vodka made with premium ingredients – will also be in-store from 24th to 27th April hosting a series of tastings on the Fifth Floor, as well as a meet-and-greet event with its founders.